Revathi Raghavan is an Ayurvedic Practitioner and specialist in Marma Chikitsa. 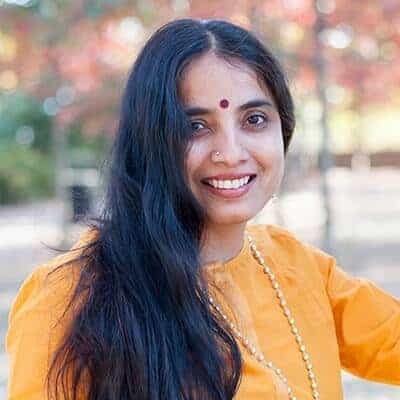 Originally from South India, Revathi pursued advanced degrees in engineering and information science before reawakening to the beautiful traditions of Ayurveda in America. After intensive study in yoga and Ayurveda, she now combines her professional background in Ayurveda with yoga practices to help clients feel stress-free, healthy and radiantly beautiful from the inside out. A joy to be with and learn from, Revathi regularly conducts programs at the Art of Living Retreat Center.